Education: BA Theatre Arts, Marymount Manhattan College. Private study with Alan Langdon. Select Credits: Television: "One Life To Live", Theatre: Mark Antony in Julius Caesar, Thomas in Venus In Fur, Leonard in Seminar, Juror #10 in Twelve Angry Men, Banquo in Macbeth, Joe in Balm In Gilead at LAByrinth's NYNY Festival. Why theater? : Depends on the day. And sometimes the answer to that question is not as readily at my fingertips as I'd like. But the theatre itself has a way of presenting those reasons as you go along. I suppose a common denominator tends to be that in the theatre I have the opportunity to let free certain aspects of myself that more generally go hidden, suppressed, or brushed aside. Tell us about Buzz? : Buzz is an extraordinary play. It depicts the beauty and power of love, and to the measures we take to protect our little worlds within the world at large. The play also speaks truthfully to the tragic power of shame and its consequences on the things we create, or try to. It does so against the backdrop of perhaps humanity's most pressing concern (climate change), yet remains a deeply personal piece. What kind of theater speaks to you? What or who inspires you as an artist? : Anything brave, both in writing and acting. And anything that gives the stage to underrepresented voices, issues, and people. What’s your favorite show tune? : Anything from A Chorus Line. If you could work with anyone you’ve yet to work with, who would it be? : I'd evaporate to work with Eugene O'Neill. But someone living? Oh, so many. I think Dean Norris (Hank on "Breaking Bad") is an unbelievable actor, and I'd love to just be around him. Who would play you in a movie about yourself and what it be called? 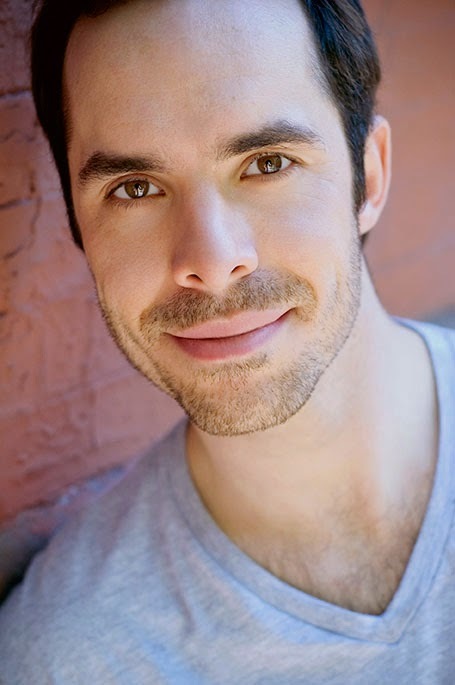 : Oh geez...The actor would be Jeff Todesco and we might call the movie "Your Song". What show have you recommended to your friends? What’s the most played song on your iTunes? : Florence And The Machine's "Shake It Out" is a track I come back to a lot. : Ice cream, cake, fruit pies, cookies, fish and chips, beer, peaty scotch, chocolate...how much time do you have?